With a stay at Holiday Inn & Suites Across From Universal Orlando in Orlando, you'll be in a shopping district, a 3-minute walk from Universal Orlando Resort™ and 15 minutes by foot from Orlando International Premium Outlets. This family-friendly hotel is 1.2 mi (1.9 km) from Universal CityWalk™ and 2.3 mi (3.7 km) from The Wizarding World of Harry Potter™. 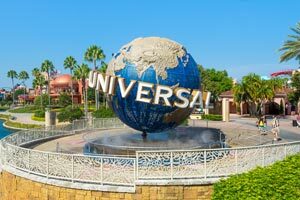 The preferred airport for Holiday Inn & Suites Across From Universal Orlando is Orlando, FL (MCO-Orlando Intl. ).